This email newsletter contains news, tips and other content that help you learn more about Neutricks, and, if you're a distributor, you can include in your marketing efforts and messaging. Starting in September, we launched a new program that is designed to help benefit select senior dog organizations in their efforts to care for and find foster homes for senior pets. September and October's chosen organization is Old Friends Senior Dog Sanctuary in Tennessee. 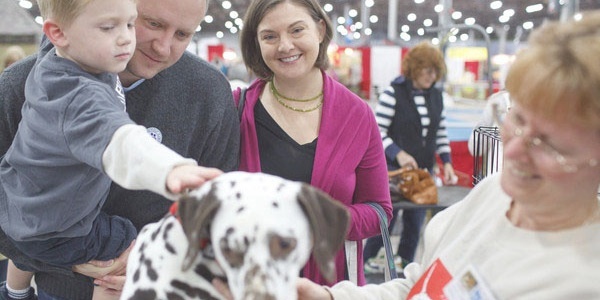 This weekend, October 29-30, we will be attending the CT Pet Show in Hartford, CT! You can stop by and say hi to us at Booth 2225. 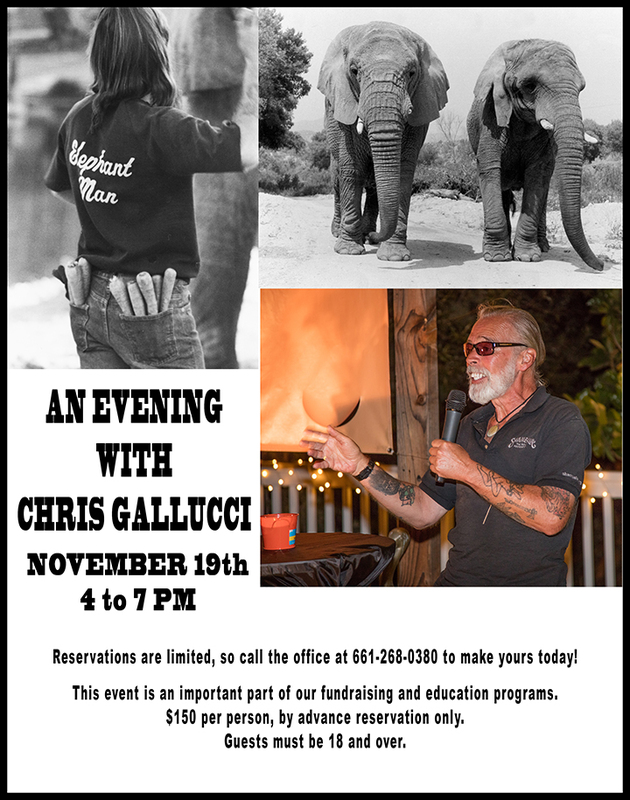 Learn more about this weekend's event by watching our Neutricks Twitter account or clicking the link below to view the event's official site. Our research has always been available in the vet portal on our website. However we've gotten feedback lately that it was still hard to find. So this month, we added a link to "Research" right at the top of our site in the main navigation. This is a shortcut to the vet portal and gives you a quicker way to access the research section. We hope this change will make our research more convenient to vets and other animal professionals. 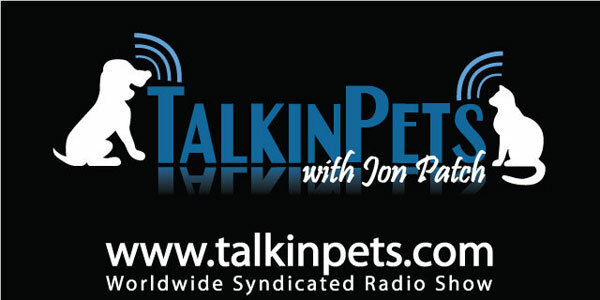 LISTEN FOR NEUTRICKS ON "TALKIN' PETS WITH JON PATCH"
Neutricks and Neutricks for Cats are an exciting new approach to healthy brain aging for the senior pet wellness market. Based on the success of the protein “apoaequorin” (originally discovered in jellyfish) in canine trials, Neutricks developed two new supplements to support your pet’s cognitive health with a unique approach for both dogs and cats. Neutricks for Dogs has been formulated as a tasty chewable tablet that dogs love. Neutricks for Cats is available in a great tasting fish flavored sprinkle. Neutricks is focused on the discovery, development and commercialization of novel supplements to provide support during age-related changes in memory, cognitive performance and related issues of aging pets. The Company’s first product, Neutricks brand dietary supplement (apoaequorin), is now available for sale by veterinarians. Neutricks is backed by research that shows it helps support brain cell health. Just like people, animals can experience mild memory problems associated with aging. A pet that seems strangely distant, confused, or disoriented, may be a candidate. More than 28 million pets (dogs and cats) in the U.S. have canine mild memory issues. Independent research and veterinarian testimonials have reported that Neutricks® has positive benefits on animals with mild memory issues. As veterinary care increases the life span of our pets, the senior pet wellness market will grow. The pet-nutritional market was valued at $2.1 billion dollars in 2007 and 43% of this figure is from the sale of pet supplements alone. Sales of pet supplements are expected to reach $1.7 billion by 2012. There is growing demand for new and effective products to meet the needs of older pets. Better primary medical care has led to longer-lived dogs and cats, and a subsequent increase in the prevalence of senior mild memory issues. In a study at the University of California-Davis, 62% of 11- to 16-year-old dogs showed signs in at least one category of memory impairment. In a survey of pet owners, nearly half of dogs age 8 and older showed at least one sign associated with mild memory problems. The Veterinary Journal published a recent study of pets seen by veterinarians in whom they estimated that 14.2 percent of older pets presented with mild memory problems yet only 1.9% were addressing the problems. “I recommend this book for cat lovers, cat haters, and anyone curious to learn how these mysterious creatures crept out of the Fertile Crescent and clawed their way into our hearts. I’ll never look at my own fluffy killing machine in quite the same way again.” –Mara Grunbaum, author of WTF, EVOLUTION?! Cats are incredible creatures: they can live anywhere and can eat anything. They can tweak their sleeping schedules and social lives. They outnumber dogs, 3 to 1 worldwide. But unlike dogs (or most any other domesticated animal) cats offer humans no practical benefits. Still they rule our bedrooms, our stoops, back alleys and deserted Artic islands. We feed them, stroke them, clean their litter box. But how did this creature acquire such stature? Abigail Tucker tell us why: THE LION IN THE LIVING ROOM: How House Cats Tamed Us and Took Over the World (Simon & Schuster; 10/18/16; $26.00) is a lively adventure through history, natural science, and pop culture in search of how cats conquered the world, the Internet, and our hearts. She visits scientists and cat obsessive to mine the science and subculture of the housecat. She travels to La Brea tar pits to learn about the ancient ancestors: sabretooths, and giant cave lions. She visits a veterinarian, who is breeding leopard-cat hybrids in her basement. She attends a modern cat fancy (the Best in Show for cats) and investigates what a matchless killer does…with endless time indoors. Tucker herself is the owner of Cheeto, a huge orange feline who once drove away a cat sitter because he so aggressively chased her in pursuit of food. Make no mistake, your sweet pet is a predator; and cats actually drive extinctions, particularly within island ecosystems. Witty, intelligent, and always curious, Tucker shows how these tiny creatures have used their relationship with humans to become one of the most powerful animals on the planet. The appropriate reaction to a cuddly kitten, it seems, might not beawwbut awe. Abigail Tucker is a correspondent forSmithsonianmagazine, where she has covered a wide range of topics from vampire anthropology to bioluminescent marine life to the archaeology of ancient beer. Her work has been featured in the Best America Science and Nature Writing series and recognized by the National Academy of Sciences. Tucker lives in Connecticut. The Lion in the Living Room is her first book. With a twenty-year history of revolutionizing the pet products industry, Eyenimal Inc. is excited to announce that it will be launching innovative new “smart” products this year. Guided by the company’s mission “to make man pet’s best friend,” Eyenimal develops, designs, manufactures, and sells a wide selection of smart products for cats and dogs that aim to fortify the special relationship between owners and their pets. One of the most exciting new products from Eyenimal is the Intelligent Pet Feeder for small pets. This interactive item stores up to 4.3 liters of food and may dispense up to twelve meals per day. Boasting the latest technology, the feeder is easily operated via an app that is supported by Android and iOS, making it an ideal solution for busy pet owners who wish to retain close control over their pets’ diets even when they are away from home. This degree of control helps to prevent pet obesity, a common condition that is linked to numerous health problems. The feeder is equipped with a camera that can record videos and allows owners to connect with their pets through video chat. Owners may conveniently share videos captured by the Intelligent Pet Feeder on Facebook, Twitter, WeChat, and other platforms. All of Eyenimal’s products are developed in France and incorporate cutting-edge technology combined with intuitive design. Prior to beginning the design process, the Eyenimal team undertakes extensive research to gain insight into the mysterious world of pets. Eyenimal’s dedication to creating superior quality pet solutions has been recognized at SuperZoo 2015 in Las Vegas and Pet Expo in Paris, where the company’s Cat Videocam won awards for best cat product. This unique camera affixes to cats’ collars and records the world through their eyes. Compact and easy-to-use, the Cat Videocam allows owners the rare opportunity to virtually experience their beloved pets’ daily adventures. It is equipped with night vision and a motion detector that halts recording while the cat is sleeping. Dog owners can enjoy the same exhilarating experience with Eyenimal’s Dog Videocam, a waterproof device that includes three different recording modes to correspond with a dog’s typical movements. From bubbling filtered water fountains to remote training devices, no-bark collars, and invisible fences, Eyenimal’s impressive selection of products addresses the various needs that pet owners face as they build close bonds with their cats and dogs. Originally based in France, Eyenimal is now headquartered in the US. Why do cats always sit on your newspaper or your child’s homework? Why do cats lick your hair? Isn’t it cruel to keep a cat indoors? These are just a few of the puzzles Pam Johnson-Bennett solves in CATWISE: America’s Favorite Cat Expert Answers Your Cat Behavior Questions (A Penguin Paperback Original; On sale: October 18; $18.00; 9780143129561) the definitive guide to every question you’ve had about your cat―all one-hundred and fifty of them. In CATWISE Johnson-Bennett explains with insight and experience why cats do what they do, and where they do it, and how we can get them to stop. CATWISE will help you to solve your cat’s behavioral problem, prevent problems from the beginning in the first place, or simply improve the relationship you already have with your cat. Using her trademark approach, “think like a cat,” Pam shows you how to understand all those seemingly inexplicable habits and sudden shifts of mood. What should we do the first night we bring our new cat home? Can I train a cat? How do I give my cat a pill? How do I train a cat to use its litter box? What if my cat stops using the litter box? Why does my cat come up only to my friends who are allergic to cats? How do I prepare a cat for the arrival of a new baby? What’s the best way to introduce dogs and cats? Pam’s thirty years of observing and advising all inform this idea-filled volume that spans litter boxes to cat trees, declawing to sock-chewing. Organized thematically by topic and question, this authoritative, comprehensive resource offers proven methods to solve your cat’s behavior problems (or head them off before they start) so that you can focus on creating a happy and safe home for all its inhabitants. Penguin Random House (http://global.penguinrandomhouse.com/) is the world’s most global trade book publisher. It was formed on July 1, 2013, upon the completion of an agreement between Bertelsmann and Pearson to merge their respective trade publishing companies, Random House and Penguin, with the parent companies owning 53% and 47%, respectively. Penguin Random House comprises the adult and children’s fiction and nonfiction print and digital trade book publishing businesses of Penguin and Random House in the U.S., U.K., Canada, Australia, New Zealand, India and South Africa, and Penguin’s trade publishing activity in Asia and Brazil; DK worldwide; and Penguin Random House Grupo Editorial’s Spanish-language companies in Spain, Mexico, Argentina, Uruguay, Colombia, and Chile. Penguin Random House employs more than 10,000 people globally across almost 250 editorially and creatively independent imprints and publishing houses that collectively publish more than 15,000 new titles annually. Its publishing lists include more than 70 Nobel Prize laureates and hundreds of the world’s most widely read authors. Dr Lampru graduated from Auburn University School of Veterinary Medicine. She came to the Tampa Bay area to practice small and exotic animal medicine in 1980. She began her studies in alternative medicine in 1984 through the American Holistic Veterinary Medical Association annual meetings and home study. She became certified in veterinary acupuncture through the International Veterinary Acupuncture Society in 1987. She further studied acupuncture under Dr Su Liang Ku and the Florida Institute of Traditional Chinese Medicine. She received certification as a human acupuncturist in the state of Florida in 1990 but does not currently treat people. Her studies in classical homeopathy have been with Christopher Day, MRCVS; Dr Jeff Levy, Dr Christina Chambreau and Dr Richard Pitcairn. Dr Lampru, her husband Ed Greene and their children, Lillian and Paul, live in Land O’Lakes with Precious, a rescue dog and their tortoiseshell cat, Jessica. Dr Lampru’s hobbies are dancing, yoga, Thai Chi, listening to live music and swimming. A full listing of events in local communities is located atNationalFeralCatDay.org/actions. Supporters worldwide have organized more events this year than any in the 16-year history of National Feral Cat Day. Volunteers in every corner of the world are holding spay/neuter clinics and food and supply drives, arranging educational sessions, hosting adoption events, encouraging official governmental proclamations, and raising funds to support local TNR programs. Alley Cat Allies, headquartered in Bethesda, Md., is the only national advocacy organization dedicated to the protection and humane treatment of cats. Founded in 1990, today Alley Cat Allies has more than 600,000 supporters and helps tens of thousands of individuals, communities and organizations save and improve the lives of millions of cats and kittens worldwide. Its website is www.alleycat.org, and Alley Cat Allies is active on Facebook, Twitter, Instagram, Google+ and YouTube. Each month we deliver content that helps you be the best human you can be for your pet. This month we're spotlighting our support of senior pet organizations, starting with Old Friends Senior Dog Sanctuary. As you already know, we love our furry senior friends. A LOT. But there may be one thing that we love even more: the organizations around our country who take in, care for and find homes for our furry senior friends. That's why starting in September, every purchase of Neutricks benefits a selected organization's efforts to care for senior pets and find them homes. For September and October, we are featuring Old Friends Senior Dog Sanctuary, a forever foster home based sanctuary in beautiful Mount Juliet TN, generally housing approximately twenty senior dogs at the sanctuary and others in temporary and forever foster homes. Tell your friends to help us support Old Friends this month!